A monument commemorates the centenary of the foundation of the Royal Australian Navy and 150 years of the gazettal of the Hastings- Tyabb township. On Saturday 19 February 2011, Captain Mark Hill the Commanding Officer of HMAS Cerberus, Royal Australian Navy, and Cr. 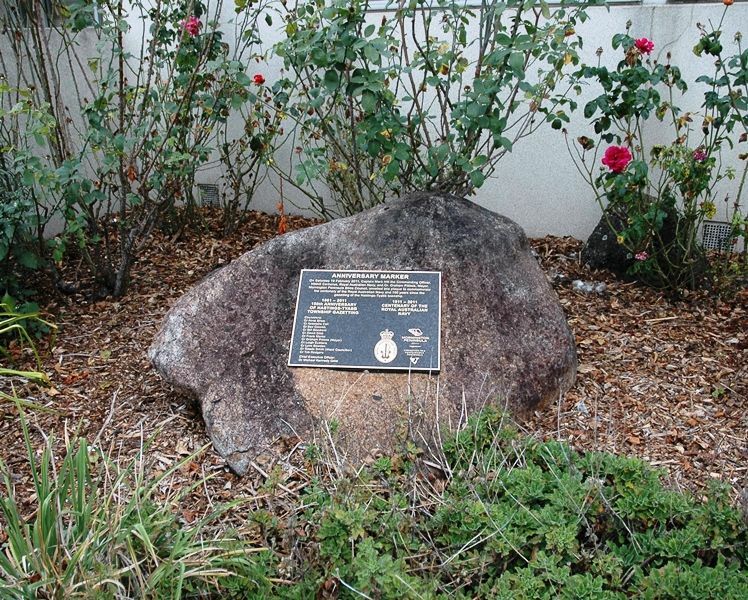 Graham Pittock, Mayor Mornington Peninsula Shire Council, unveiled this plaque to commemorate the centenary of the Royal Australian Navy and 150 years since the gazetting of the Hastings-Tyabb township.